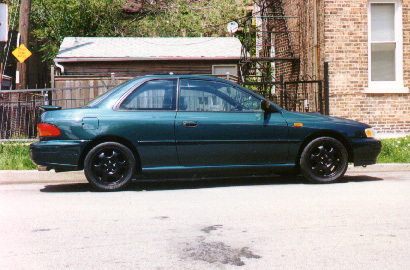 Alan started out with a bone stock 96 Brighton with a 1.8l and AWD with manual transmission. Many people look long and hard for these, but few are for sale. He soon replaced the stock wheels and tires with some much more attractive ones and installed some KYB AGX struts and Eibach Pro springs to lower it a bit and to tighten up the suspension for autocrossing. 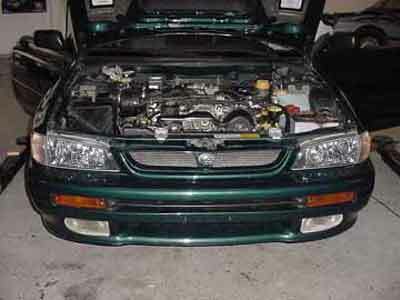 Recently we found a wrecked Touring Wagon and Alan got the idea to transplant the EJ22T motor into his Brighton. With little hesitation, we quickly had the motor pulled and the car was in the shop for about two weeks getting everything switched out. 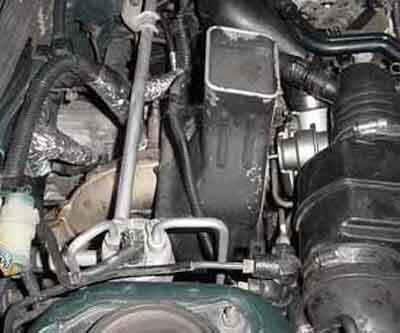 The stock ECU, airbox, PS Pump, AC, Alternator, Crankshaft pulley and starter motor were used. 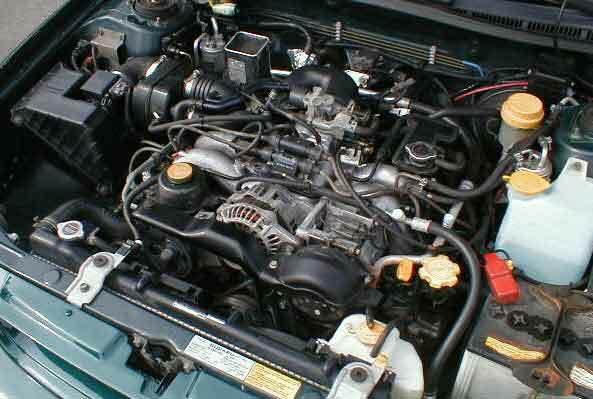 With a little tweaking, the engine is running very smooth after an unexpected turbo rebuild was needed to cure a small oil leak. 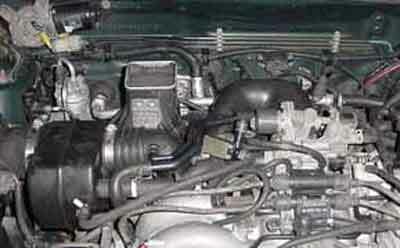 Besides an erratic idle, and only running wastegate controlled boost, the project is an unprecedented success. Alan is currently looking to tune the engine more with a boost controller, finding out why the idle fluctuates, and working on keeping the stock transmission in one piece. 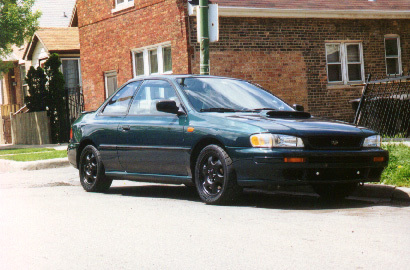 Other additions will be a WRX intercooler, rear links for a swaybar and perhaps rear disc brakes.